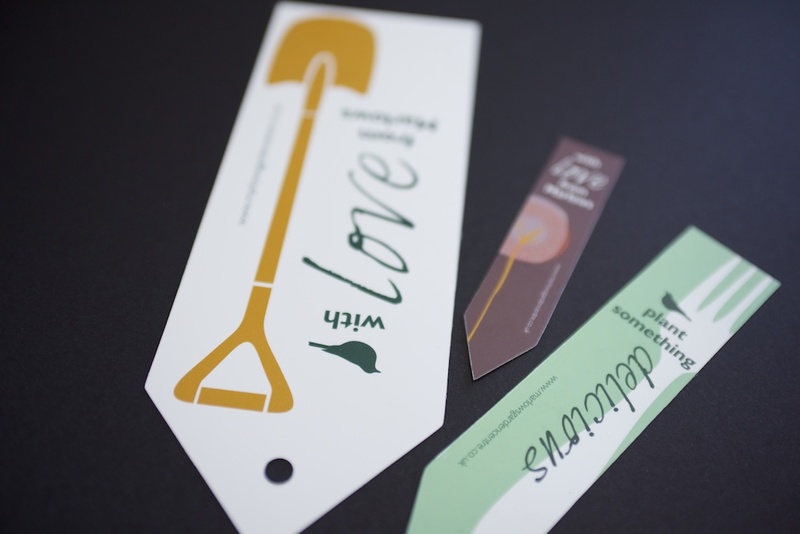 3 different sized plant stabbers, all printed Four Colour Process to both sides on a 450gsm Synaps (synthetic) material. Marlows Home & Garden Ltd required a print company who were able to assist in their horticultural print requirements, based in Suffolk they found our details on the internet and made contact with regards to producing the plant stabbers they required. From print ready artwork files supplied to us by the client, our studio sent the supplied PDF files straight from Mac to producing the printing plates which then went out to the press for printing. The studio also had to create a new cutting forme for this print job as we did not have any stock cutters for the sizes required. Once the stabbers had been printed on to the 450gsm synaps material they were then die cut to shape and the different sizes required using the new cutting forme. The Larger size of stabbers also had a hole put in to them so that they can be hung from the products they are being used on. The stabbers were produced in around 8 working days and once complete were boxed up and put on an overnight courier service to Marlows Home & Garden Ltd based in Suffolk.